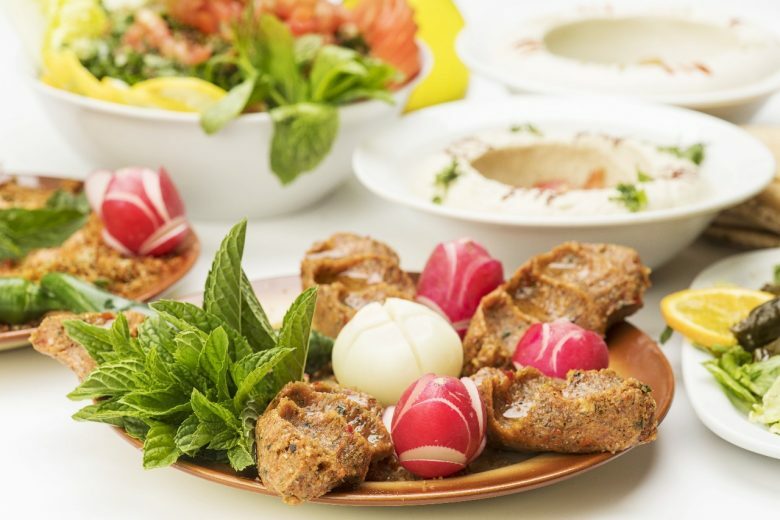 The Lebanese cuisine is one of the most spectacular cuisines all over the world. 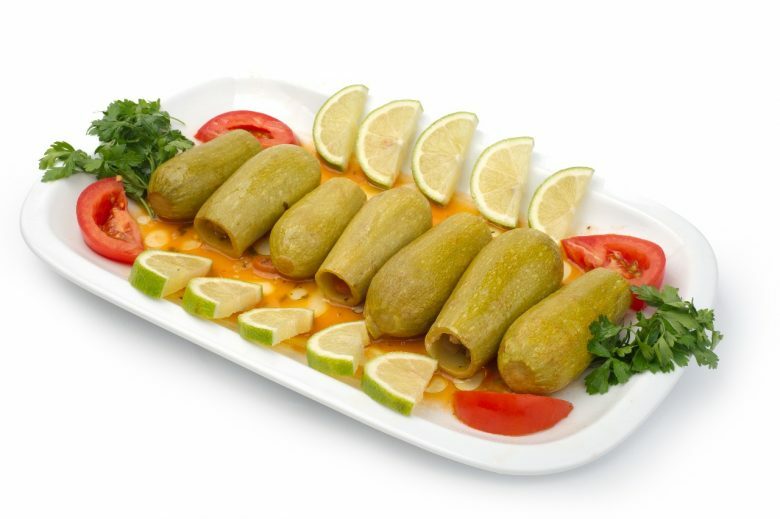 The Reason Behind this is that it has been exposed to many cultures whether the Ottomans when they ruled Lebanon or the French colonization or even its location in the Middle East, all this influenced its kitchen and helped its people to bring out to the world the most spectacular plates you will ever have in your life. From starters that are called Mezze over there to the main courses ending by the dessert all are fascinating. 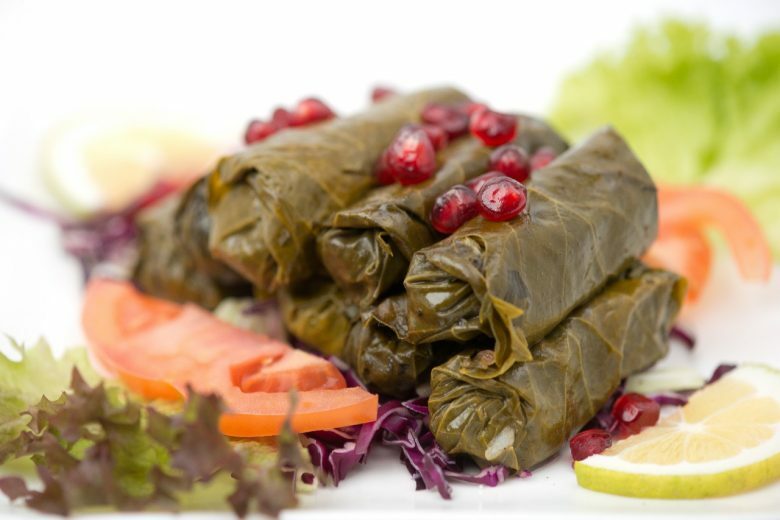 Let’s simply say nothing can go wrong when it comes to Lebanese food, you will enjoy it more than you can dream of. 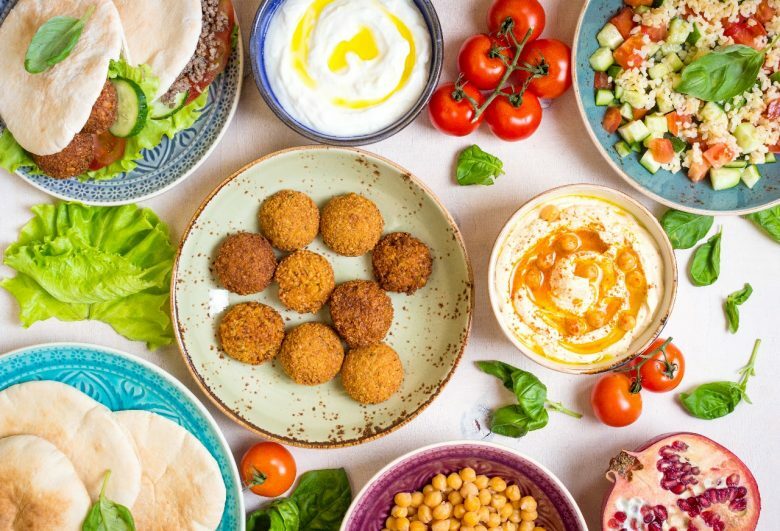 Beirut has a variety of Plates that can blow your mind, but let us begin with the appetizer or starters or as called in Lebanon “Mezze “.There are both hot mezze and cold mezze, those mini plates that blow your mind and tantalize your sensations with every bite , usually served with pita bread . It’s simply a type of sausages that is cooked and topped with pomegranate molasses along with some fries dipped in the sauce. The mix of sweetness and sourness along with the light salty flavor is just perfection . Same goes for saowda with pomegranate molasses, saowda is simply chicken liver same recipe and same perfection . 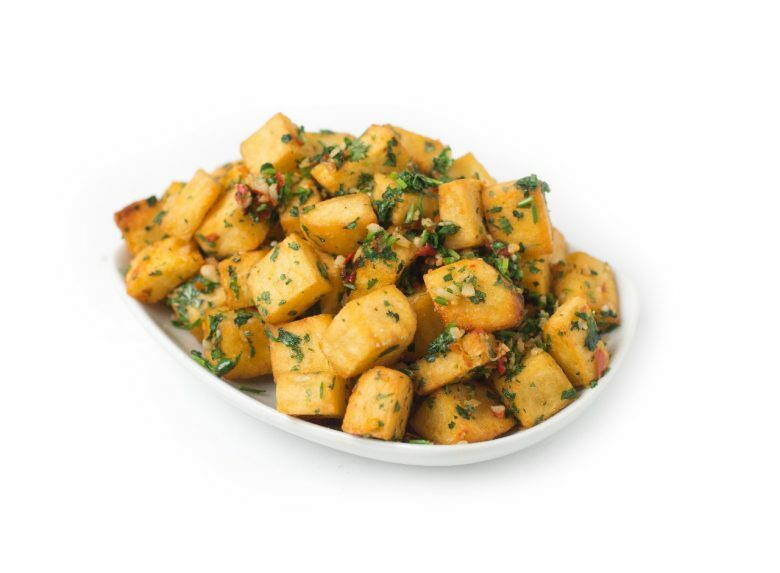 Cubes of Potato fried till it becomes perfectly gold and then seasoned to be spicy usually with coriander and chili and topped with Parsley . A little bit spicy, but worth every tingling sensation you get in your tongue while eating it. Usually served hot with some pita bread to indulge yourself. Yup, it’s raw meat, whether it’s beef or lamb meet it’s minced and mixed along with bulgur and spices then olive oil is added and voila! One of the finest appetizers you will have . Don’t hesitate to try it for a second because if you eat it you are officially Lebanese as it is one of the most traditional plates out there. Simply Wow, we can call this plate the goddess of Mezze. Vine leaves stuffed and rolled to be topped with olive oil and pomegranate. It can be stuffed with rice or a mix of rice and minced beef.It can be served cold or hot, but i can guarantee you it will capture your soul in all its forms. Those little wraps can steal your heart and make you addicted to it so easily. 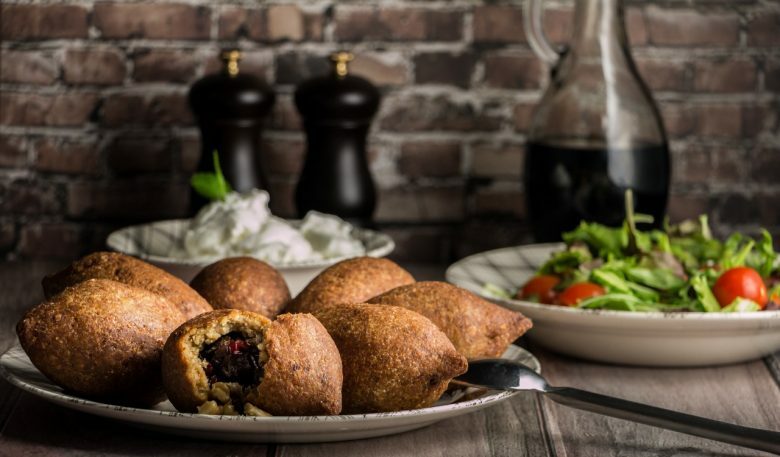 Minced meat made into teardrop balls and covered with bulgur and then deep fried , to be served for you warm or dipped in Laban” a special type of Lebanese milk then topped with pines to make your day with happiness and pleasure. Usually served with Hummus or Garlic dip. 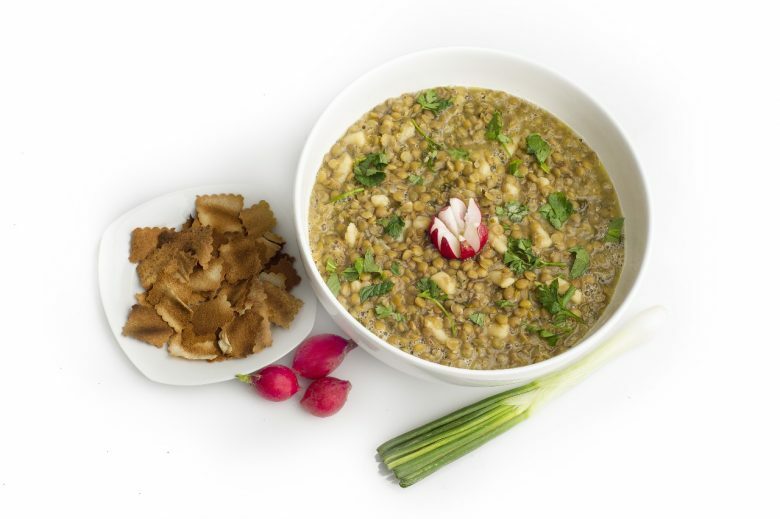 A vegetarian plate that is made up from simple ingredients lentils, rice and onions along with olive oil and lemons. Very healthy and tasty at same time. Never leave without eating this plate specially as it is so easy to prepare yourself when come back home from Lebanon. 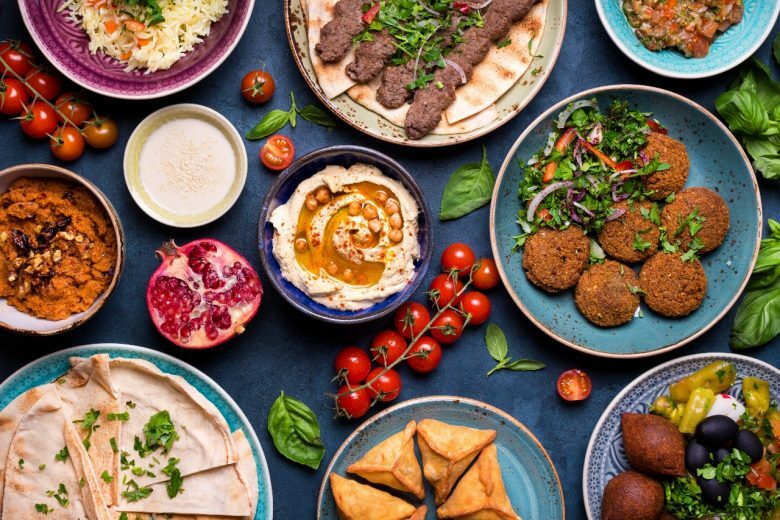 If you say Lebanon you always have to talk about the cold Mezze as Tabouleh, Fattoush, Hummus, Labennah endless platters that will take your mind to a different world every time you dip your piece of pita bread in one of them then into your mouth. 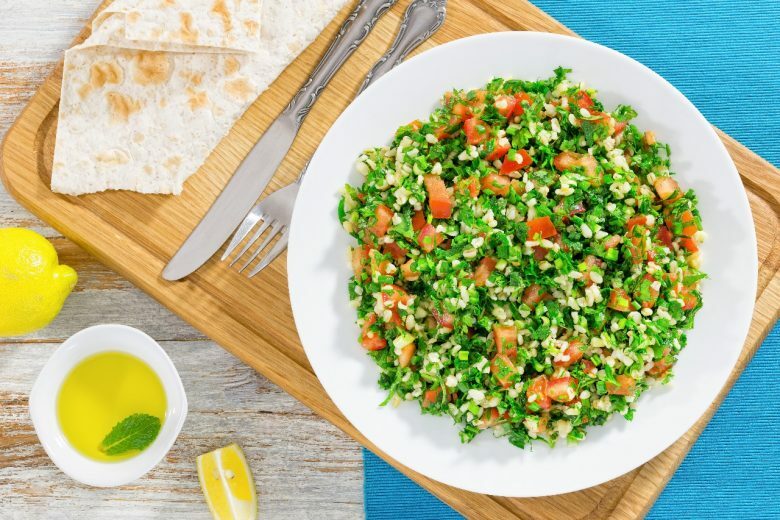 Let’s start with Tabouleh, its secret ingredients are parsley, tomato, onion, bulgur, olive oil and lemon and there you are the most famous Salad or as they call it cold mezze that will tantalize your senses with happiness. A mix of vegetables, ranging from tomatoes, cucumber, lettuce and onions. All this topped with some pomegranate molasses and fried pieces of bread . You can’t help, but love it. Not to forget The Hummus which is paste of chickpeas sometimes topped with tahini sauce. And the Baba Ghanoush wich is a paste made up of eggplants mashed and mixed with lemon juice and tahini sauce, usually topped with olive oil and pomegranate. Those two mezze plates are like the cherry on top of the Lebanese mezze that no table can be set without them. It’s paper thin sliced up meat or chicken that has been spit roasted and mixed with parsley and tomatoes, served on top of Hummus or In Fettah that is Lebanese rice usually made with milk and bread along with shawerma all together to aim directly at your heart and steal it with every spoon. 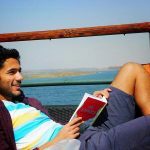 If You want to go light for both your pocket and tummy, manakish is your choice. 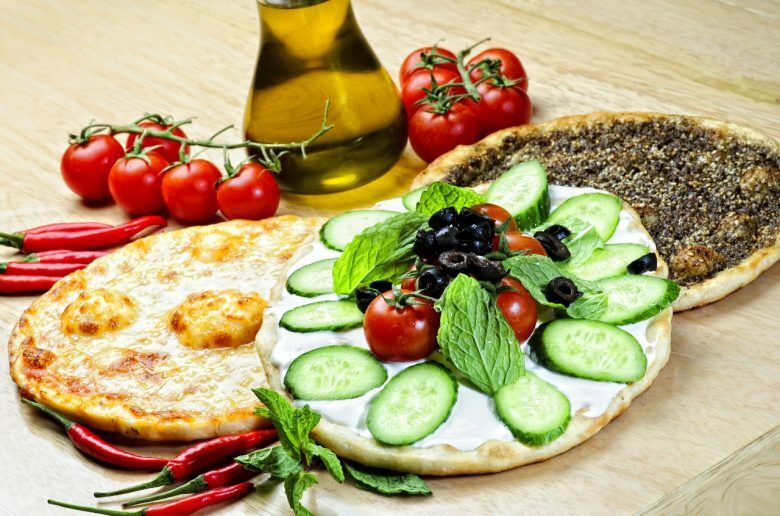 Manoucheh is a pizza like dough that can be topped with thyme and olive oil, labnneh, minced beef mixed with tomato paste and plenty of choices of cheese. Closed like an envelope and baked , from oven straight to your tummy to tickle it with love. looking up for a light brunch , Flafel is your life saver. 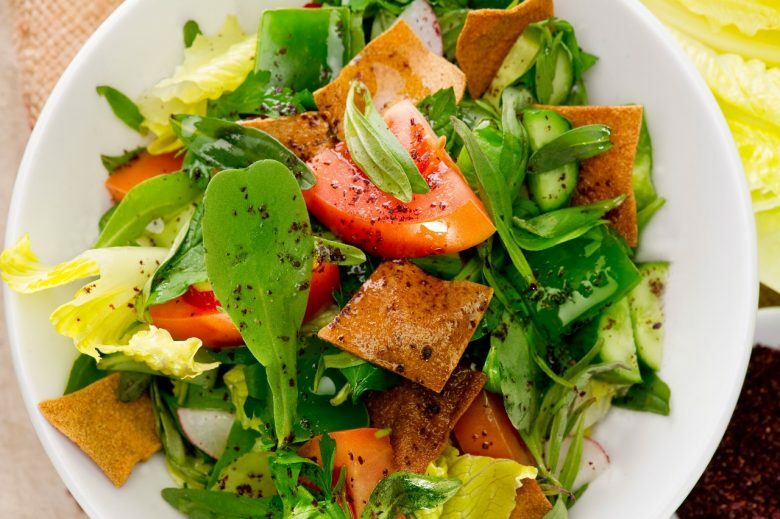 A mix of chickpeas or fava beans fried till it becomes golden brown, put in pita bread with tahini sauce and salad and here you are a simple classic Lebanese breakfast or brunch that will make both your tummy and pocket happily dancing with joy. They can grill like anything whether it’s meat or chicken. 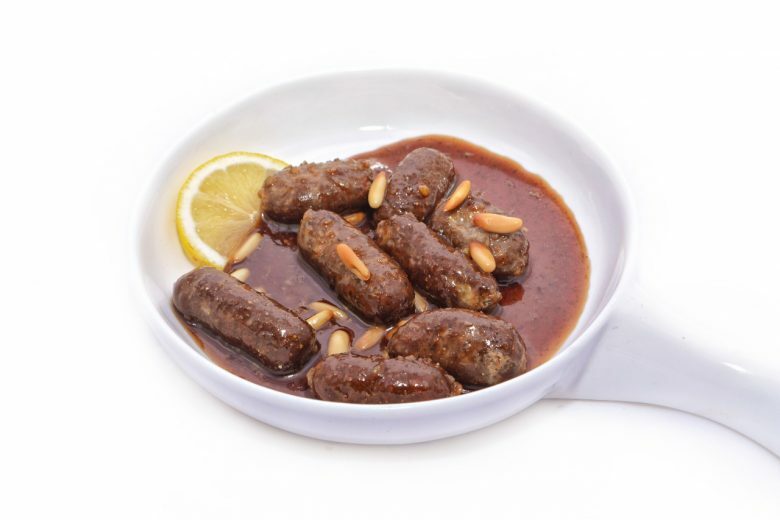 The most famous are kofta, minced beef made in finger like pieces and grilled to perfection. 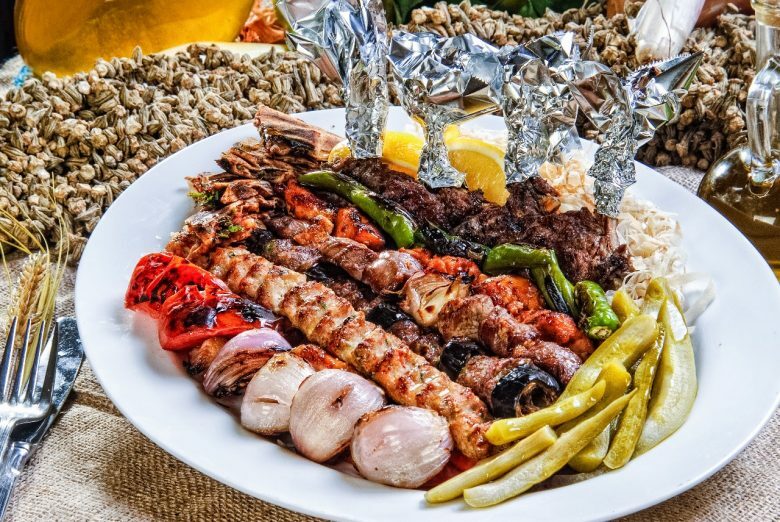 Shisk Tawook, cubes of chicken breasts marinated and grilled and can be cooked later in different sauces like lemon sauce for example and in this case it is called metaffe. Also there is Shish Kebab which are pieces of meat whether beef or lamp. All of them can be eaten with rice and salad. It’s a classic traditional plate inherited from the grand grand parents. The zucchini is usually stuffed with rice and minced beef and then it’s cooked thoroughly in tomato soup and seasoned with garlic, mint and onions. You feel the beauty of the past while eating it as it will remind you of your grand mama making you the most delicious plates. 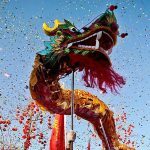 There is also la7m b Ajin And Saj they are pizza dough like bread topped with Minced beef that is seasoned with amazing spices baked on dome shaped pan and usually folded into a ship shape or a star shape to add some spices and fun to your day . You will never get lost when it comes to main dishes. You can always find your way through one or another plate and it will always leave you satisfied. 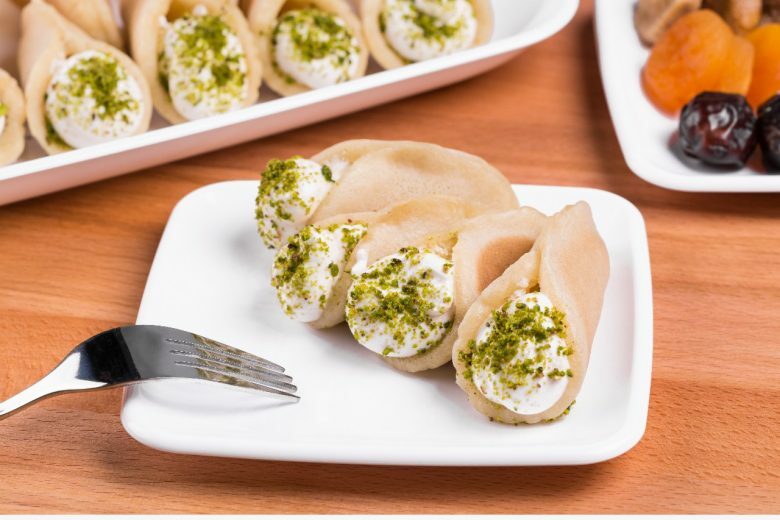 It’s the most famous Arabic desert made with qeshta “milk cream ” or with cheese and sweetened with Qatr which is a syrup made up from water and sugar, usually in Lebanon rose water or orange blossom water is added to it to add some taste and spirit to the plate. 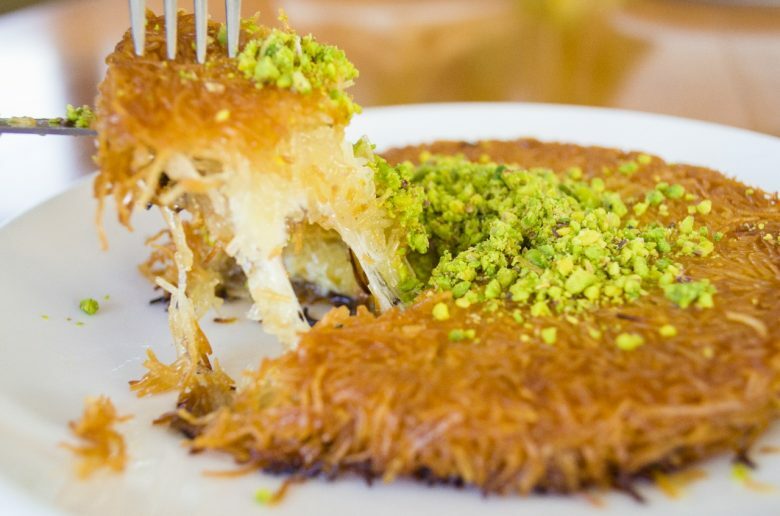 The golden pastry with the melting cheese in between and the syrup being put on it slowly topped with finely ground pistachio, Wow, like romance your heart will melt with it. It can be eaten as a dessert or as breakfast with sesame bread or kaak. It’s mastic Arabic ice-cream topped with light Lebanese cotton candy or as it’s called in Arabic halawa and the cherry on top as usual is pistachio. Well Ghazal Beirut is more like pieces of heaven fallen from the clouds. It has a little bit complicated recipe so let’s say it’s mainly made up from cream, rose water, pistachio and semolina all this topped of course with Qatr and pistachio. This plate is self indulgence and pampering in the purest way. 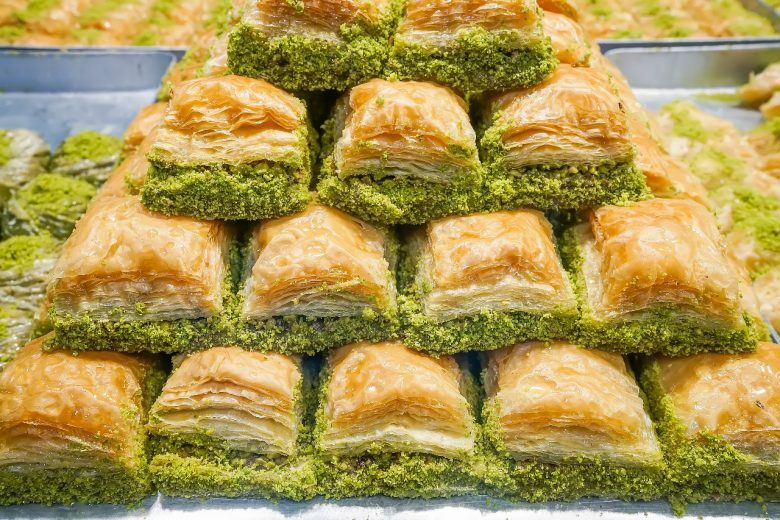 Pieces of layered pastry that is filled with cream and pistachio or assortment of nuts and topped with Qatr. It’s usually served with their dyafa of tea with or without mint. In beirut and Lebanon you will always find yourself pampered. A dough that is folded into small pieces closed from one side. Cream is put inside and syrup is put slowly on it along with nuts for decoration. 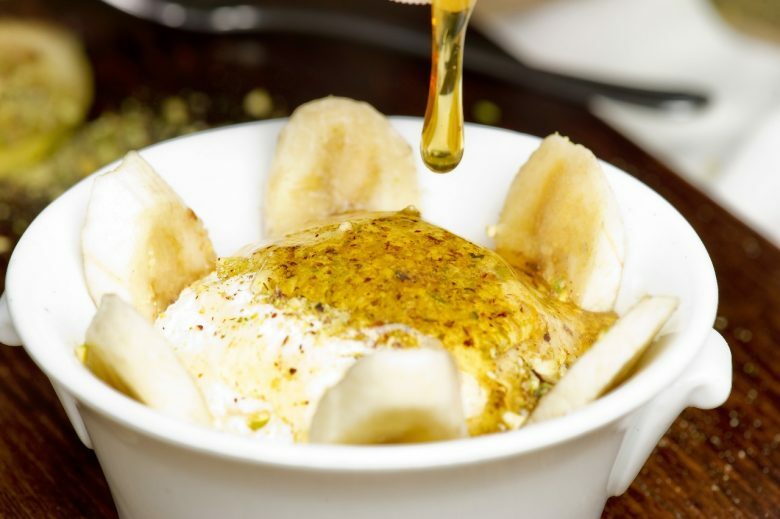 Beside it being a really famous dessert , it’s a famous dessert all around the Arabic world specifically in the holy month of Ramadan. One of the most famous food chains in Beirut.It stood still through both good times and hard times and never shut its doors.Was open through civil war and Israel war serving food to people and that made it stand for years in their heart and memory. 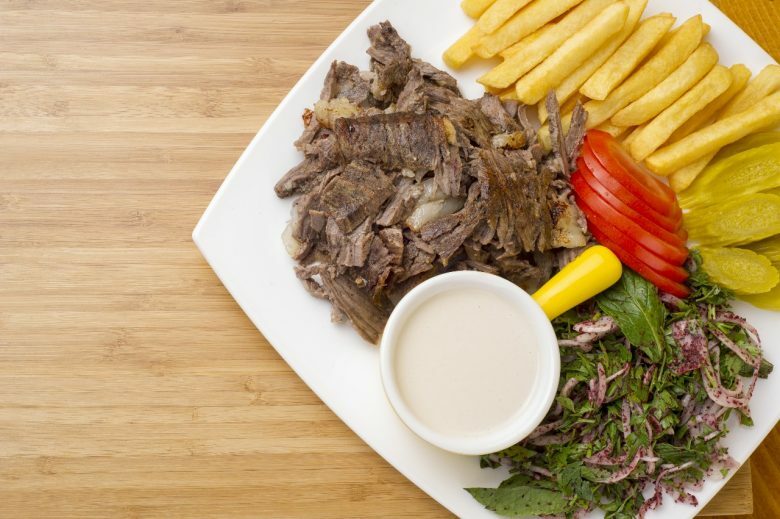 Other than that , Barbar has relatively reasonable prices and really good food ranging from shawerma sandwiches to different Lebanese plates. You can check their menu before you hit one of their branches. This place is exceptional by all means, like really it doesn’t only use fresh ingredients, but also it gets them from local farmers.Also a different chef comes from local areas everyday to cook a plate from its region which is something remarkable.And if you are really fond of the Lebanese cuisine there are cooking workshops held there. 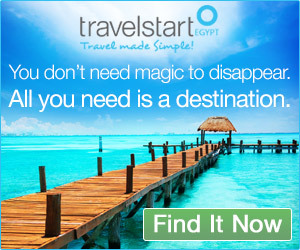 A place not to miss. 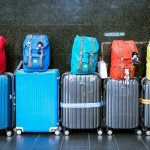 If you want to indulge yourself with a classy and lovely themed place, then Em Sherif is your choice. From over here you can get your manakish and your flafel wraps . Light for the tummy, Light for the pocket. 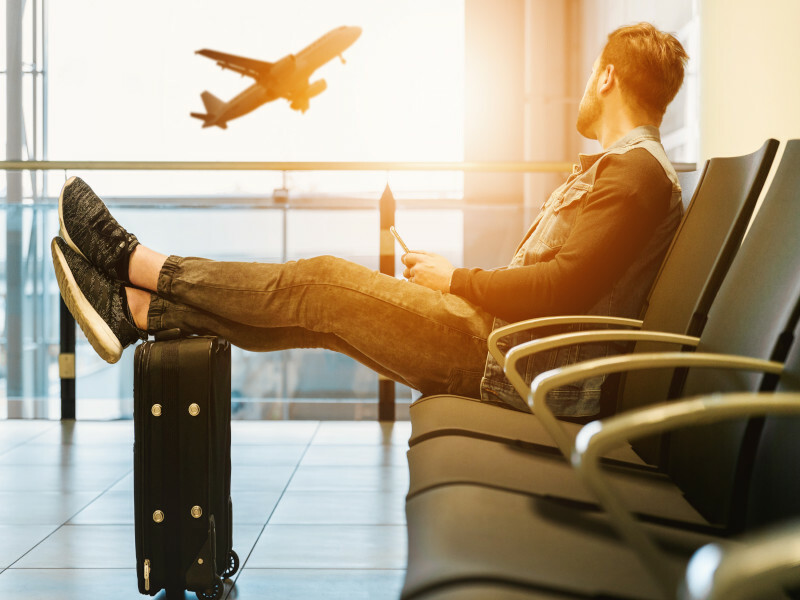 So,Book your flights To Beirut Now and indulge yourself with the best food you will ever have in your life!